Complete utility to backup everything in Outlook Express, MS Outlook and Windows Mail. Backs up Emails, Contacts, Journals, Notes, Calendar Entries, RSS feed etc. * Fully functional Demo for 15 Days. 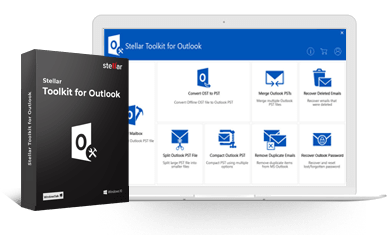 Backs up all MS Outlook, Windows Mail, Outlook Express mail objects, including emails, Contacts, Tasks, Calendar Entries, Notes, Signatures, Journals, RSS feeds, Junk Mail lists etc. The utility provides option to take Incremental as well as Differential backup. 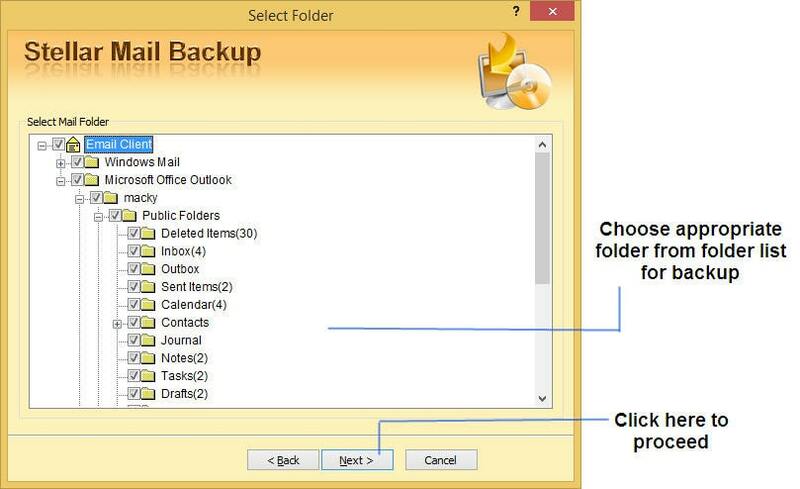 Takes backup of your important email components to any specified location, including local system hard drive, External drive or any network connected drive. 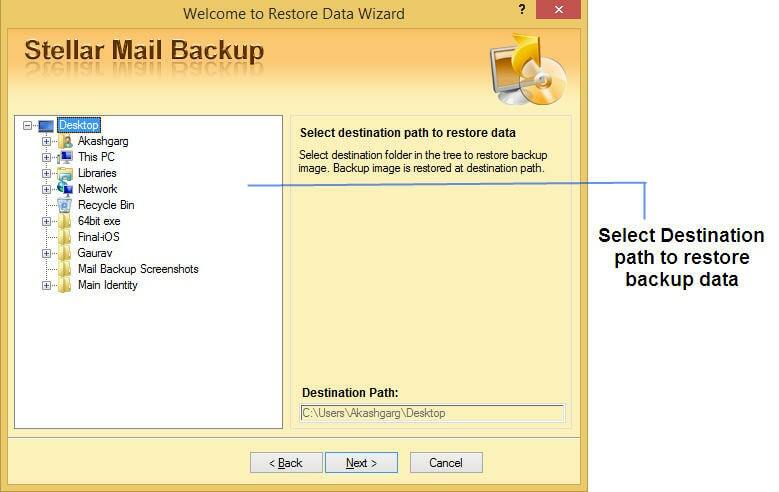 Similarly, the utility allows restoring mails from the backup image, stored in any logical, external or network connected drive. Allows scheduling the backup operation at any desired Time and Day. 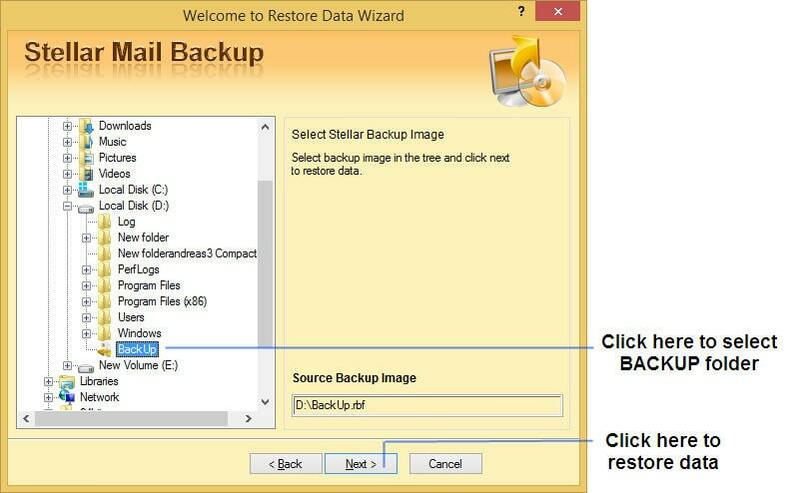 The software provides various options to customize the backup process, which includes the Backup frequency (Once, Every Day, Every Week, Every Month), Backup Type (Full Backup, Incremental Backup, Differential Backup) and Compression level for the particular backup. 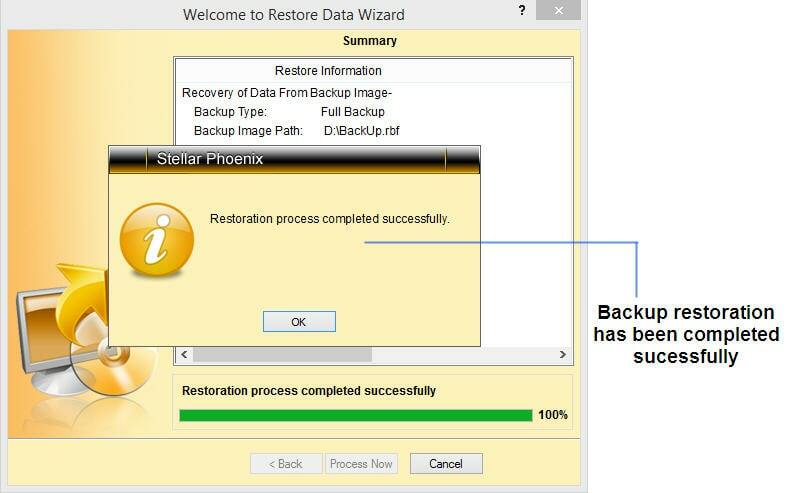 Stellar Mail Backup provides options for both complete restoration as well as restoration of individual mails. The software restores selected MS Outlook mails in PST/MSG format and Outlook Express mails in EML format. Provides option to set password on the backed up file. 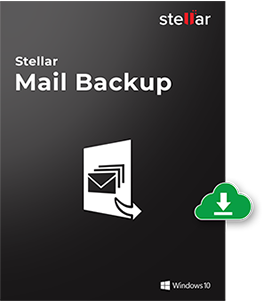 Stellar Mail Backup stores all your backup data in a single backup file and protects it with a password. 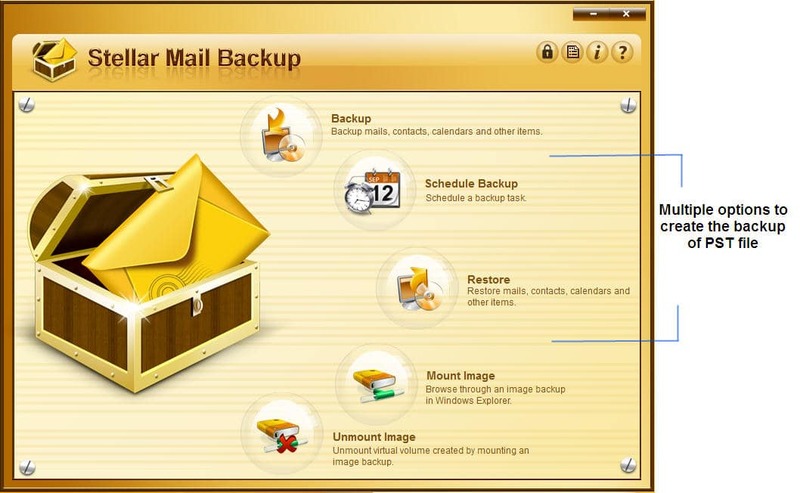 With highly interactive interfaces and easy-to-use features, the software provides an easy means to backup important mails and restores them back, when needed. 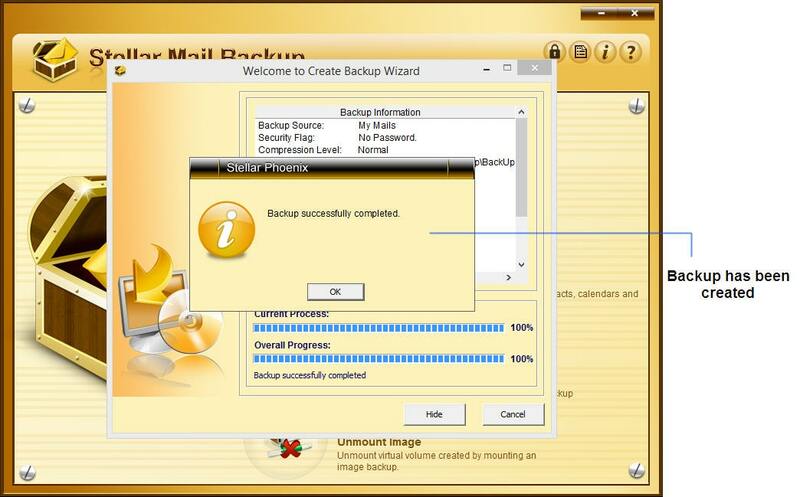 Que: What are the email clients supported by the software for mail backup? Answer: This utility allows you to backup mail accounts, which are configured in Outlook Express, MS Outlook and Windows Mail.